In response to reports of cluster munition attacks in conflicts around the world, scores of countries supporting the global ban on the explosive weapons categorically condemned their use in a declaration issued Sept. 11 in Dubrovnik, Croatia. The 95 states-parties to the CCM, along with 23 signatory nations and numerous civil society groups, met Sept. 7-11 to review and assess the accomplishments of the treaty. The Dubrovnik meeting was the first review conference under the treaty, which entered into force on August 1, 2010. The CCM bans the possession and use of munitions that eject explosive bomblets designed to kill people and destroy vehicles. For advocates of a cluster munitions ban, the consensus declaration threw a spotlight on the policy of the U.S. government, which is destroying its cluster munitions stockpiles but has not renounced their use. The United States, which has not signed the CCM, is currently supporting the Saudi-led military campaign in Yemen, where Human Rights Watch has documented the repeated use of U.S.-manufactured cluster munitions. “Although the evidence is not definitive, several factors indicate that the Saudi-led coalition carried out the seven attacks,” the nongovernmental group stated in an Aug. 26 report. The attacks involving U.S.-made munitions have killed or wounded “dozens of civilians” since April, according to the group. “The proposed changes also seem driven by a desire to create space—political and legal space—for the United States to use cluster munitions in the future,” said a Sept. 8 statement from Human Rights Watch on behalf of the Cluster Munition Coalition..
After the three countries and Lithuania expressed concerns, the unmodified declaration was approved by acclamation. Many representatives of the 117 countries that have signed or ratified the CCM hailed the treaty for exceeding expectations born on its entry into force five years ago. “Today I can inform this Conference that Cuba is carrying out the required constitutional procedures for the accession of our country to the Convention on Cluster Munitions,” Benítez Verson said to applause. The change comes as Washington and Havana are seeking to normalize long-frozen diplomatic relations. In past years, Cuba had declined to join the cluster munitions ban because it does not forbid U.S.-made munitions that are equipped with self-destruction and self-deactivation mechanisms, an exception that Havana said favored developed countries at the expense of poorer countries. In Dubrovnik, Benítez Verson repeated Cuban concerns about the “dangerous” language of the treaty’s Article 21, which permits CCM parties to the treaty to engage in military operations with countries that are not parties. He said Cuba will continue to press its views when it becomes a state-party to the treaty. Nguyen Trung Thanh of Vietnam, attending as an observer, said his country could not afford to take on the treaty’s obligations, although Vietnam is one of the countries most contaminated with cluster munitions. Archbishop Silvano Tomasi, the Vatican representative to the United Nations, called on CCM parties “to find a fair and equitable model” to fund the treaty’s implementation. Correction: The original online version of this article erroneously attributed a quotation to the Cluster Munition Monitor. 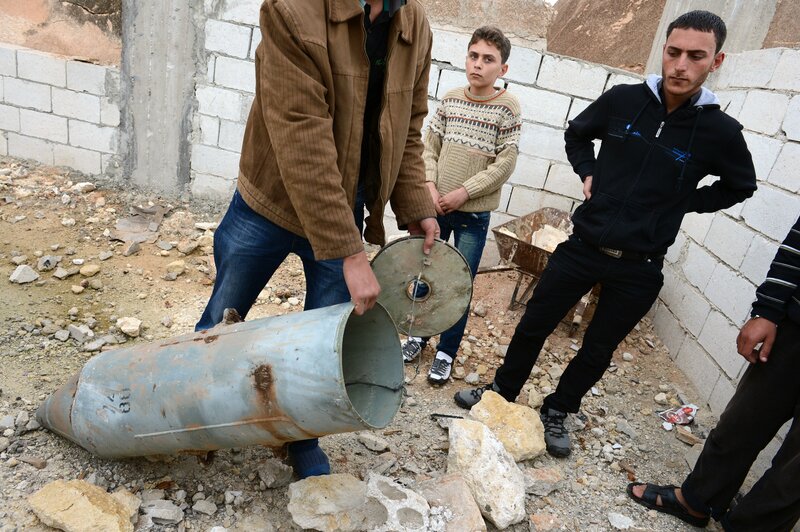 The source of the quotation is a Sept. 8 statement from Human Rights Watch on behalf of the Cluster Munition Coalition.